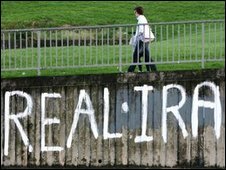 BBC NEWS | UK | Northern Ireland | Who are the Real IRA? The dissident republican group the Real IRA has said it carried out the gun attack at an Army barracks in Antrim in which two soldiers were killed. The group was born out of a split in the mainstream Provisional IRA (PIRA) in October 1997, when the PIRA's so-called quartermaster-general resigned over Sinn Fein's embrace of the peace process. The man who walked out was Michael McKevitt, who is now serving a jail sentence for terrorist-related offences in the Irish Republic. 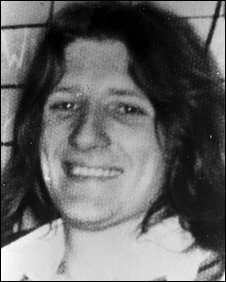 McKevitt is married to Bernadette Sands McKevitt, a sister of hunger striker and Republican idol Bobby Sands. It is thought the Real IRA has access to some explosives and detonators which once belonged to the PIRA. Shortly after its formation, the paramilitary group quickly took over from the older Continuity IRA as the leading home for dissidents. However, the security forces believe the two organisations have co-operated in a number of attacks. The Real IRA was responsible for the Omagh bombing as well as a string of other attacks, including bombings in London and Birmingham. According to the latest report from the Independent Monitoring Commission (IMC), the body appointed by the British and Irish governments to report on the activities of paramilitaries, it continues efforts to "enhance its organisational capability". In the six-month period covered by the November 2008 report, the Real IRA had "sought to recruit, though with limited success, and it trained members, including in weapons use and manufacture". "It was eager to recruit disgruntled members of PIRA though we do not have information indicating that it has any material success," continued the report. "Like other dissidents, it undertook targeting, mainly of security force personnel, and it gathered information about them." "It continued to seek weapons from associates, criminals and from overseas as well as by manufacturing them itself." With regards to specific attacks, the report stated: "In May (2008) a PSNI officer was seriously injured by an explosive device detonated under his car; RIRA claimed responsibility. "In the same month it also claimed responsibility for an incendiary device which caused damage to a store in Cookstown (County Tyrone) and for another at a store in Lurgan (County Armagh). "We believe RIRA was responsible for two incendiary devices which caused some damage at a restaurant in Cookstown, again in May, though on this occasion the organisation did not claim responsibility." The report continued: "In a brutal attack in April (2008) RIRA members burst into a victim's home in Belfast and shot him in both legs; arrests and weapon finds followed this incident. "Two other vicious RIRA shootings occurred in June (2008), and members of the Real IRA also assaulted a Sinn Fein MLA in July." Will the attack threaten peace?